Spirited, orphaned Charlotte looks forward to her upcoming sixteenth birthday as well. The novel recreates the hotel’s beautiful rustic backdrop, set amid hot springs and mountains, along with the dual worlds of pampered guests and bustling staff. The kitchen crew’s two small scullery maids, aged eight and twelve, serve as reminders of the not-so-good old days before child labor laws. Other historical references are made, too, including to the recently ended Boer War and the women’s suffrage movement. Charlotte and most of her fellow waitresses look forward to winning the vote—and also hope to have careers: Charlotte aspires to be a pharmacist. Charlotte’s busy summer is disrupted when Jacob, one of her favorite guests, dies under suspicious circumstances. Detectives arrive to investigate and conduct edgy interrogations, and Charlotte’s grief becomes even more harrowing when she is accused of poisoning Jacob and is arrested for murder. 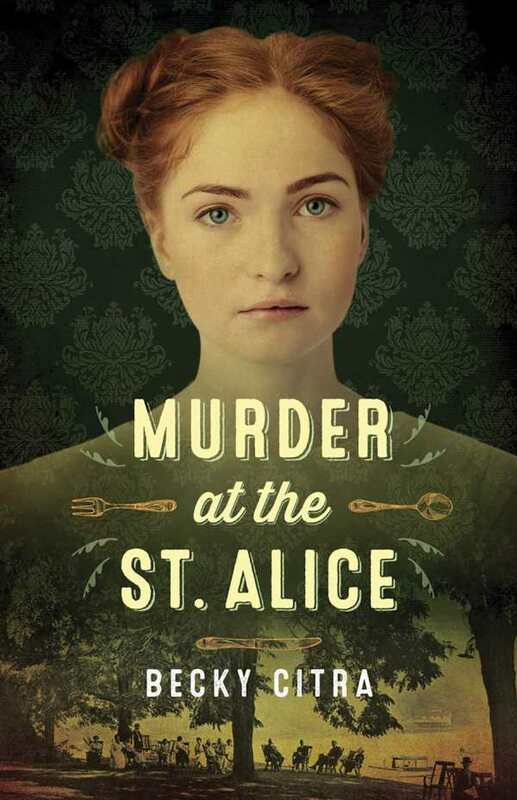 Murder at the St. Alice‘s mystery involves curious coincidences and circumstances. As Charlotte struggles to clear her name, avoid imprisonment, and escape execution by hanging, the novel’s progressively historical tone is carried well by its bright, brave heroine whose resilience and open-minded outlook help her to achieve her dreams.